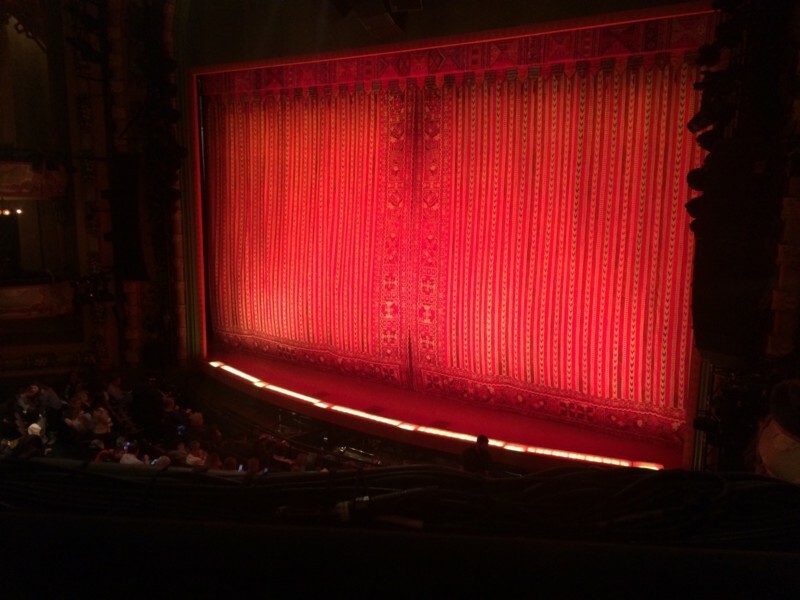 This past December, I took my daughter to New York City to see the Broadway musical Aladdin. Boy was it everything we wished for! The lights, music, actors, singing, costumes…it was truly a show that we will never forget. A few days ago, I was looking at our pictures. We weren’t allowed to take pictures of the actual performance so before the show, my daughter and I took photos of the stage with the curtains closed. The curtains were beautiful and pulled you in with a warm, reddish-orange glow. Behind the curtain was the unknown; a treat from the other side. To quote the theme song, it was a whole new world. As I stared at the picture of the stage, I couldn’t help but think of 1 Corinthians 2:9 (ERV), that reads, “No one has ever seen, no one has ever heard, no one has ever imagined what God has prepared for those who love him.” Just as a surprise was waiting for us in the theater behind the curtain, God wants to give you what’s behind His curtain. Everyone in the theater was buzzing and drooling with excitement even though we couldn’t see anything. The anticipation was high. Although we couldn’t see what was behind the curtain, we had faith that it was worth whatever we did or spent to get there. You can’t see what’s there but you have to trust that it’s good and good for you. Just like the scenes in the musical, God wants to make your life a song—for Him. He wants it to burst with colors like the costumes and dance numbers—every scene better than the one before. The musical’s theme song, “A Whole New World” is quite fitting because He wants to show us just that. He wants to show us unimaginable things and take us places that we’ve never been before. He wants to blow your mind! His fantastic point of view is the only sight we’ll ever need. In a whole new world, God is first. In a whole new world, the 2017 mindset has to die. In a whole new world, your dreams are alive and suddenly you have a purpose. In a whole new world, you will have to walk away from some friendships, forgive those who did you wrong, bite your lip to keep the peace and step into leadership, just to name a few. Don’t miss the Holy Ghost carpet ride; God will show you unbelievable sights as you trust, obey and follow Him. 2018 is overflowing with possibilities and they’re all behind the curtain.